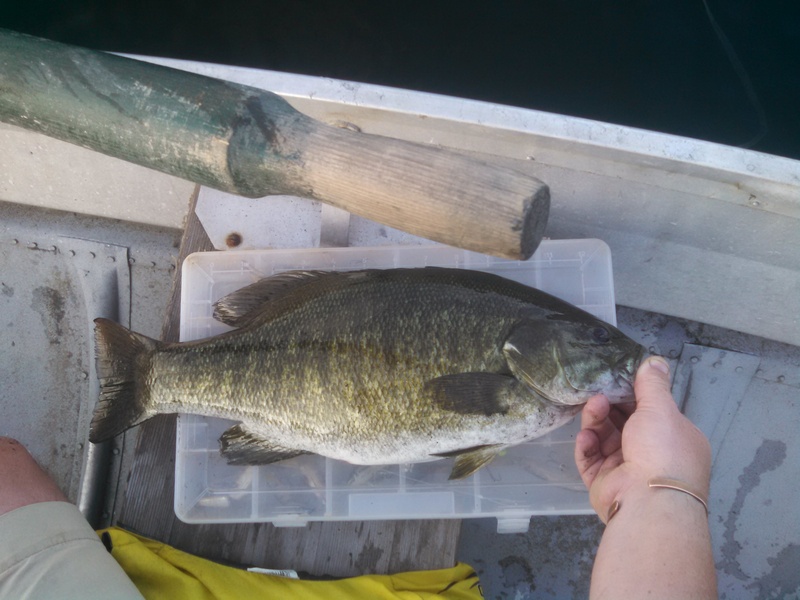 My family has a camp in the North East Kingdom on a lake with great bass fishing. As my wife and I decided to head up for a few days for the 4th of July, I decided that I was only going to bring one rod with me, and one box of lures, including my top water plugs. Since I was a young kid I have always fished the bass there on using top water baits. It’s something about the suspense waiting for that explosion as the bass attacks my bait. My wife and son went to bed early on this particular night so I decided to try my luck. Equipped with only a small ten foot row boat, a net, and my gear, I rowed to a nice inside turn that has always produced quality fish at dusk. I started on the furthest rocky point. My lure of choice was a torpedo. I like to make long casts with this bait, quickly popping it back to the boat. Thankfully the water was calm that night and I was able to drift in the direction I wanted to fish. After about a half hour of no action I made my way in. I knew that there was a nice deep weed bed in this turn that shelfed up onto a nice sandy flat. As I worked my way towards the flat making long casts, the fish lunker of the night slammed my bait and jumped about four feet out of the water. The hit came from the break line, right where the weeds transition onto the sandy flat in about 5 feet of water. I took this and ran with it making casts to target that depth. The first fish I landed was a hog. Only being in a small boat it was literally moving the position of the boat as it made it’s effort to throw the bait. The bass at here are amazing. A three to four pound average is not uncommon. This fish probably was pushing four and a half pounds and over twenty inches. 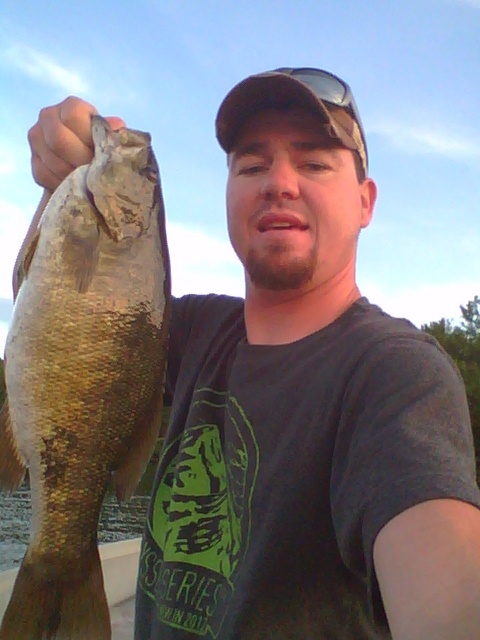 I continued working my way back towards camp and was able to land several more decent smallmouth. There was something about this trip and fishing without all of the modern technologies and fancy boats that brought me back to my childhood. More memories in the bank. Nice report, the info on weeds, depth etc is very useful,,,,and the article is a good read. Back to basics still catches fish.